I am blessed to be the owner of Rock Ranch's Ray of Sunshine commonly known as Esme. I have adored her more and more each day. She is absolutely gorgeous, smart, kind, goofy and loving. 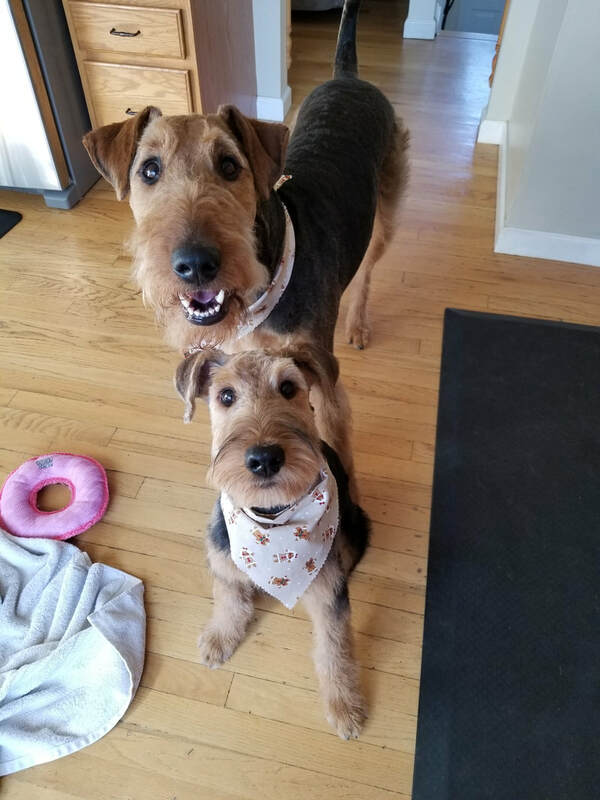 I researched Airedale breeders in PA for a time because I had fallen in love with the breed and hoped to have one of my own. 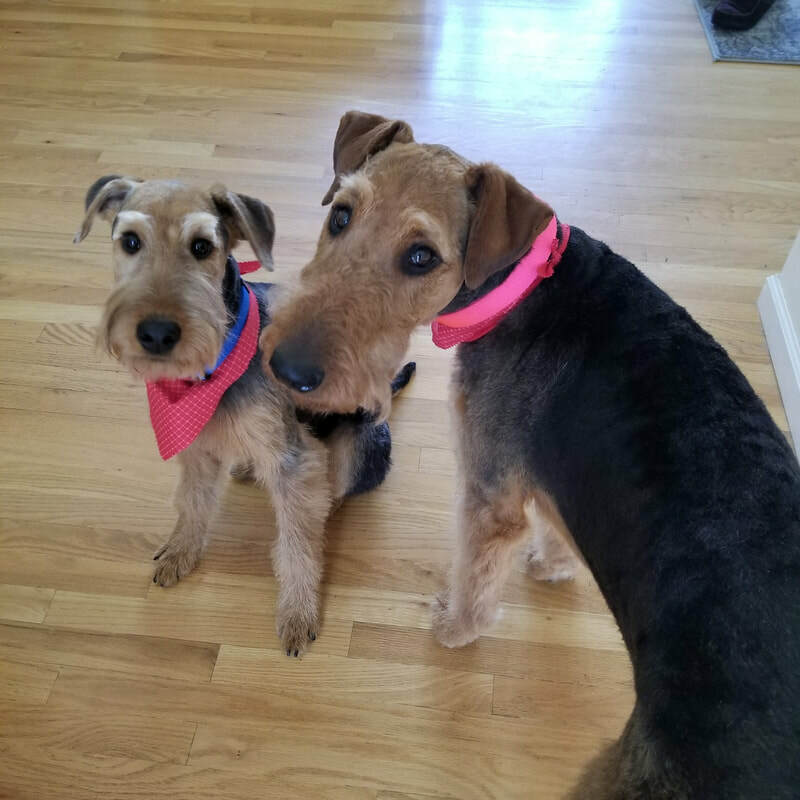 I called Lorna, we spoke, and she kindly invited me to her home to meet her Airedale family. I instantly fell in love! Each one is beautiful and has his or her own personality. 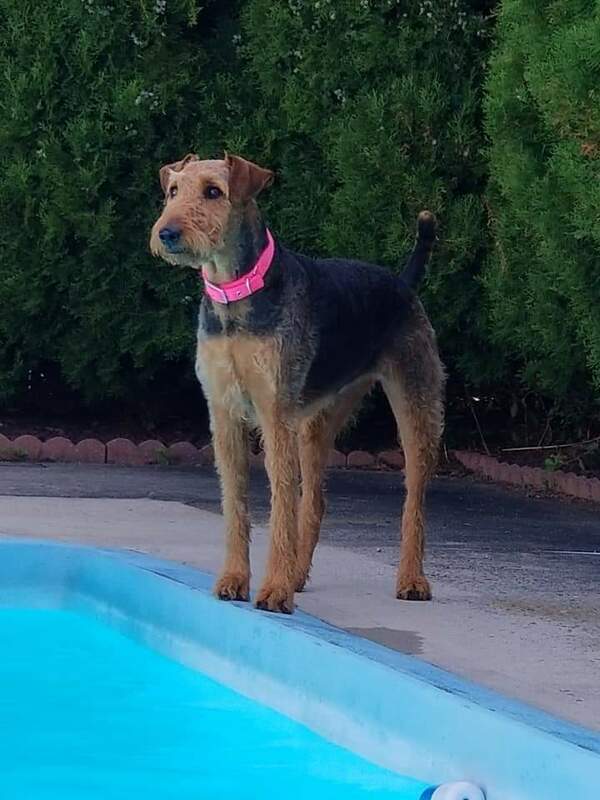 I decided without a doubt I wanted my Airedale to come from Rock Ranch. Lorna has been a friend and resource to me since the first day we spoke. I feel free to call or email her at any time. She sends frequent emails while the "Mom" is pregnant and also after the pups are born. It is so exciting to get these updates on your growing pup! After I took Esme home, I knew there was an open invitation to not only visit but Lorna would give us her first grooming. I returned with Esme when she was about 6 months old. Lorna not only gave us a complimentary grooming but also spent at least an hour with us showing me how to train Esme on loose leash walking.